Last Saturday night at the RWA's annual convention, the RITA and Golden Heart awards were presented. I was lucky enough to be one of the many individuals in the audience who witness this special event. Let me just say, the room was filled with so many smart, intelligent, and talented writers that it was awe inspiring. I am glad that I wasn't one of the individuals who had to narrow the field down to just one winner per category, I would have had a hard time choosing. All the nominees were worthy of the honor,and I was glad to see many of my favorite authors were nominated. A few even won a RITA. Yay! For those of you who have never been, I would liken the RITAs to to Oscars, complete with golden statues, which in this case hold a book and golden quill. The authors and guests get dolled up in beautiful gowns and evening attire. A little bit of trivia, I was informed by the very talented and award winning, Mary Jo Putney, that four of the RITAs, one of which was hers, were flawed and did not contain a quill in their hands. These lovely golden ladies will eventually be replaced by those which do contain the quills and the recipients will get to keep the flawed ones as conversation pieces. The night kicked off with the very talented Christie Craig Emceeing the event. Armed with a devilish gleam in her eye, a charming smile on her face, and a warm and lovely southern accent that could melt an icicle on a cold winter's day, she presided over the event. Using her wonderful humor and quick wit she talked of the perils writers face when attempting to get published. Reading some of her own rejection letters and talking about her struggle with dyslexia, which incidentally, resulted in one sentence's whole meaning being altered when she inadvertently left off the letter 'r' in the word shirt. She had us laughing while inspiring and encouraging us to not let such things detour us from our calling as writers. I didn't get a picture of Ms. Craig in her evening attire, I did manage to snag a picture of her at a books signing earlier the day before. While I tried to get pictures of all the winners, I only managed to get a handful. Many went off in search of a quiet space to call loved ones to let them in on the good news. I did, however, manage to snag pictures of both the first and last award recipients of the night. The first and only Golden Heart award winner I was able to find was Miranda Liasson (picture below). Her story, "Baby on Board--Help! ", (something I could relate to when I was a new mother) won her a Golden Heart for the category Contemporary Series Romance. Along with Miranda, the following authors received Golden Heart awards. I should point out that many, if not all, of the Golden Heart nominees are unpublished, but as I managed to meet quite a few, they were happy to inform me that many of their nominated stories have now been picked up by publishers. So while I can't give you a synopsis of the stories nominated, many will be finding their way to bookstores in the near future, quite possibly under different names. Congratulations ladies! Now, of course, the big awards of the evening were the prestigious RITAs. Everyone was waiting patiently in anticipation of finding out who would win. As nominations were read, you'd hear many attendees clapping and displaying their approval and support of the nominations. It was fun seeing whole tables getting excited where nominees were sitting. Author Sarah Morgan was the evening's first RITA award winner. Unfortunately I could find no picture of her. 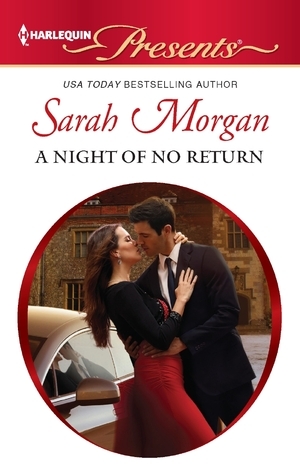 Her book, "A Night of No Return" (The Private Lives of Public Playboys), won in the category of Short Contemporary Series Romance. Wild parties, wanton women, relentless work—nothing helps tycoon Lucas Jackson escape his dark and haunting past. Arriving at his rural castle in a snarling snowstorm, he craves only complete isolation. The Second RITA award of the night went to Karen Templeton for her book, 'A Gift for all Seasons". 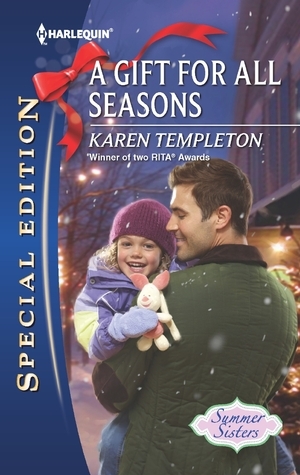 It won Karen the RITA in the category Long Contemporary Series Romance. Again, I have no picture to share of the author. I should note, however, she also received entry into the RITA Hall of Fame. According to RWA, an author who wins more than one RITA during her career is rare. For those outstanding authors who win multiple RITAs, RWA needed a special way to honor them, so they created the RWA Hall of Fame. Upon receipt of her or his third (formerly the fourth) RITA Award in the same category, an RWA member is inducted into the RWA Hall of Fame for that category. I think I'm going to have to check Ms. Templeton's books out. and his irrepressible little girl. Patrick made it clear he wasn't looking for romance. Neither was April. But could she make him see that some risks were worth taking? 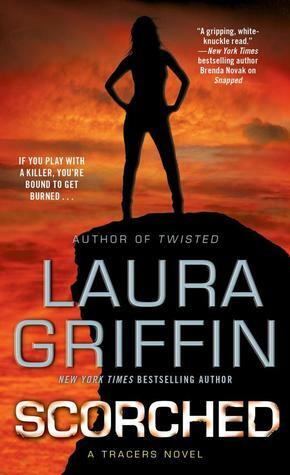 The fifth RITA of the evening went to author Laura Griffin. 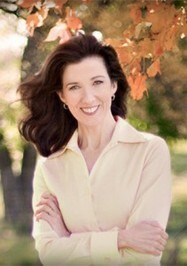 She won for her book 'Scorched' in the category Romantic suspense. This one has been on my to read list since it came out. I need to make time to read it. She was gracious enough to pose for the picture below. Kelsey Quinn set out to trace a murder victim. Now she may become one. The sixth and eigth Ritas went to Eloisa James (below on right) and Sarah MacLean (below on left). FYI, we were really close to the stage which were emitting a red glow on the dynamic duo. So that is not the red hot glow of victory you see on Ms. MacLean and Ms. James. Although, who's to say for certain? lol Both were decked out in shimmering evening gowns and looked gorgeous. Eloisa won for her short story 'Seduced by a Pirate' in the Category Romance Novella. Sir Griffin Barry leapt out of the bedchamber window at age seventeen after a very disappointing wedding night, drank a bit too much at the pub and woke to find that he'd joined the crew of a pirate ship! Years later, he has become one of the most feared pirates on the high seas, piloting the Flying Poppy, a ship he named after the wife whom he fondly (if vaguely) remembers. 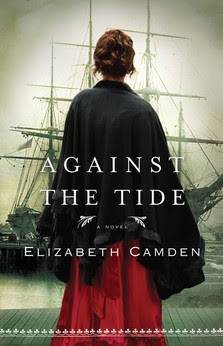 What happens when a pirate decides to come home to his wife — if she is his wife — given that the marriage was never consummated? And what happens when that pirate strolls through his front door and is met by... well, that's a surprise! 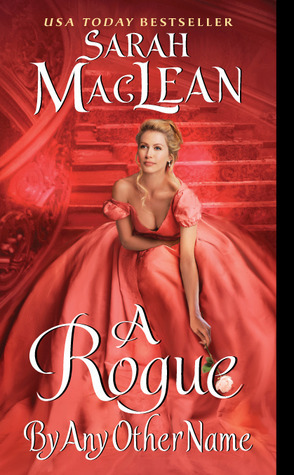 Sara MacLean won for her book, 'A Rogue by any Other Name', in the category Historical Romance. The seventh RITA award winner of the night was the talented and wonderful Barbara Freethy. She won for her book, 'The Way Back Home', in the category Contemporary Single Title Romance. She proudly displays her Rita below. In the small California town of River Rock, the river is always there—sometimes unpredictable and wild, sometimes a source of comfort, always a part of life. 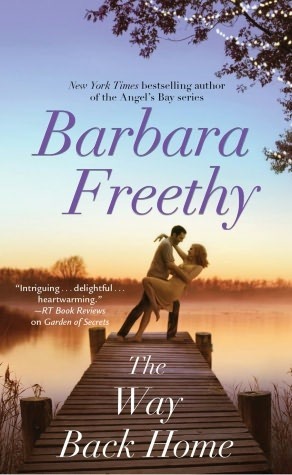 Bestselling author Barbara Freethy will capture your heart with an emotional story about love, family . . . and fighting for what matters most. Ex-Marine Gabe Ryder is fulfilling the last request of his best friend, Rob, who was killed in a firefight during their final days of service. He promised to help Rob’s family— especially Rob’s twin sister, Alicia—with their struggling river rafting business. Gabe has a hidden past with Alicia, though. She’s the woman who taught him that love might exist, yet he walked away from her. Alicia has more than enough on her plate with her brother’s death, her father’s injury from a tragic rafting accident, the entire town turning against them, and a series of dangerous attacks on her business. She doesn’t need this rugged loner who broke her heart. But passion flares between them, and this time, they can’t walk away. Alicia can’t help wondering: did Rob really send Gabe to watch over her—or did he want her to show Gabe the way home? The Ninth Rita Award of the evening went to Kresley Cole for her book, 'Shadow's Claim', in the category Paranormal Romance. It should be noted she also was inducted into the RITA Hall of Fame. One of her comments as she accepted her RITA was, 'Lothaire will not be happy." 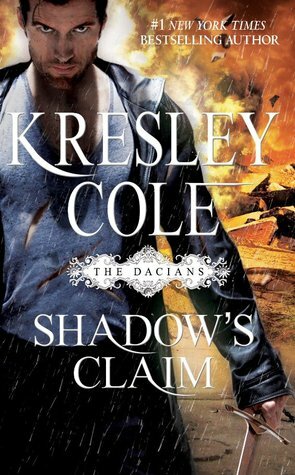 *chuckle* Ms. Cole's book 'Lothaire' was up against 'Shadow's Claim' competing for the coveted spot. 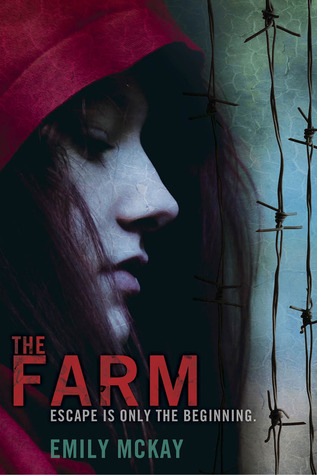 The tenth RITA of the night went to Emily McKay for her book, 'The Farm', in the category Young Adult Romance. I just got my copy and look forward to reading it. The final award of the night went to the lovely and talented Ms. Mary Jo Putney. She was gracious enough to pose with me for a picture. She won the RWA Nora Robert's Lifetime Achievement Award. It was a fun and fabulous evening. Book synopsis' found on Goodreads. 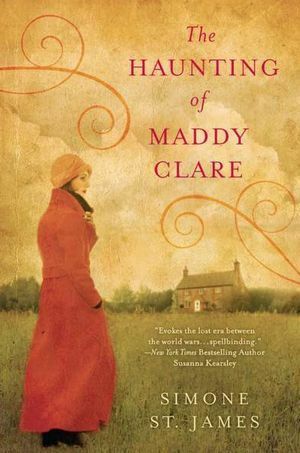 Mary Jo Putney's biography was found on her website. Great coverage and a picture of Miranda. I did not get to meet you but if you do this coverage in the future, you might ask RWA if you can meet more GH nominees at the champange reception or the rehearsal before the awards! 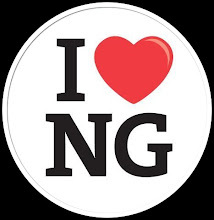 Even GHers who are not published yet or who do not have deals need the publicity, so thank you! Thanks for the information. I'm not sure if I'll be going next year, but you never know. What a wonderful write-up! I was there, my first time, it was such a cool experience. Awesome write-up!!! And thanks Lisa for taking my pic :) So many good RITA-winning books to read now!! !